Following the release of its successful smart speaker, Google Home, Google has been digging increasingly deeper into the hardware space. 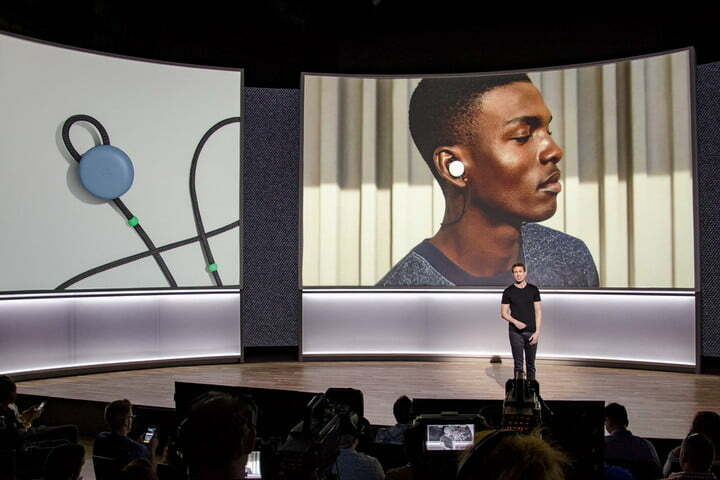 At an event in San Francisco, the tech giant today unveiled several new products, including it new Pixel 2 phones, and a brand new pair of wireless earbuds called the Pixel Buds. 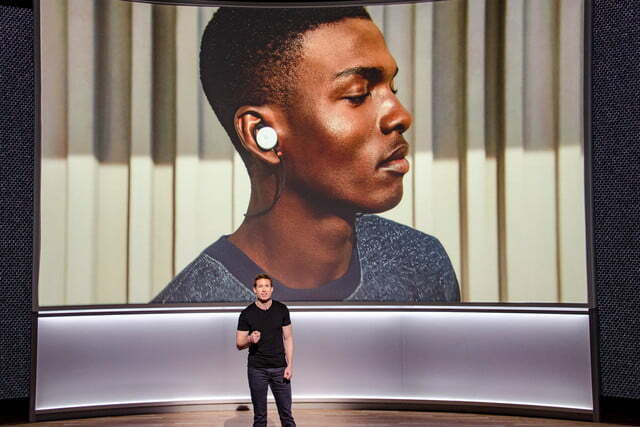 In terms of functionality, the Pixel Buds will have many of the same hardware features we’ve seen on most Bluetooth in-ear headphones on the market, including touch controls that allow users to tap the right earbud to pause music, as well as swipe forward and backward to change songs. 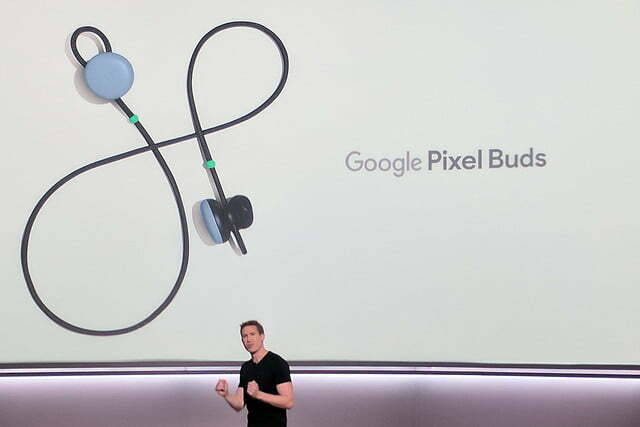 Google has also integrated the new headphones with other smart features via Google Assistant as soon as you pair the buds with a new Google Pixel device. The most intriguing feature shown is real-time translation via Google Translate, which claims to allow for efficient translation of 40 languages. The company showed the feature in action at the live event, presenting seamless translation between English and Swedish. That said, it’s one thing to do a canned demonstration, and another to translate languages in real-world scenarios. 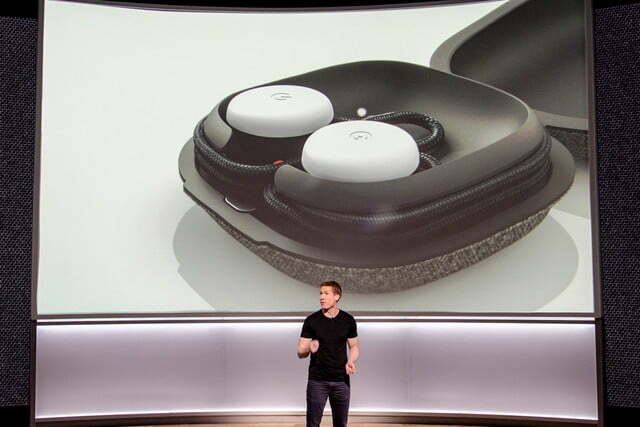 We’ve tried features like this before with inconsistent results, so it will be a real test for Google’s new earphones. In terms of juice, the new headphones will offer a middling five hours of battery life per charge, but that will be supplemented by a wireless charging case that allows for 24 hours of total playback on the go, similar to Apple’s Airpods. It’s perhaps surprising that Google didn’t leap right into the burgeoning fully wireless headphone space, which is currently dominated by the AirPods. That said, many models of fully wireless headphones still struggle with basic issues like battery life and connectivity, so Google is likely aiming to provide buyers with a more stable, longer-lasting experience. It’s also understandable that Google would take cautious first steps into the headphones space, given how competitive the marketplace is. 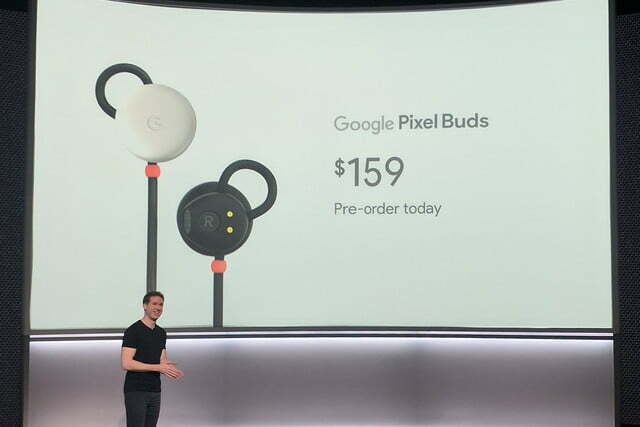 The Google Pixel Buds will start at an AirPod-matching $159, which will be a serious test considering that there are teems of tethered wireless earbuds currently available at a lower price point. The Pixel Buds can be pre-ordered today on the company’s website, and will ship in 6-7 weeks.